The water balance affects how much water is stored in a system. The general water balance in the UK shows seasonal patterns. In wet seasons precipitation is greater than evapotranspiration which creates a water surplus. Ground stores fill with water which results in increased surface runoff, higher discharge and higher river levels. This means there is a positive water balance. 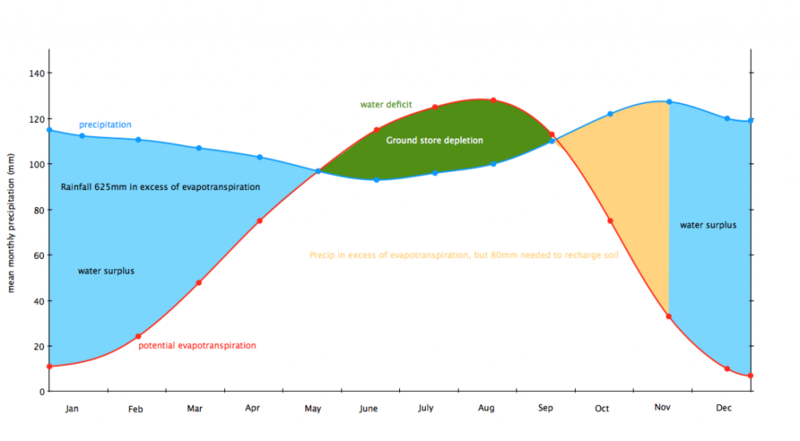 In drier seasons evapotranspiration exceeds precipitation. As plants absorb water ground stores are depleted. The is a water deficit at the end of a dry season.